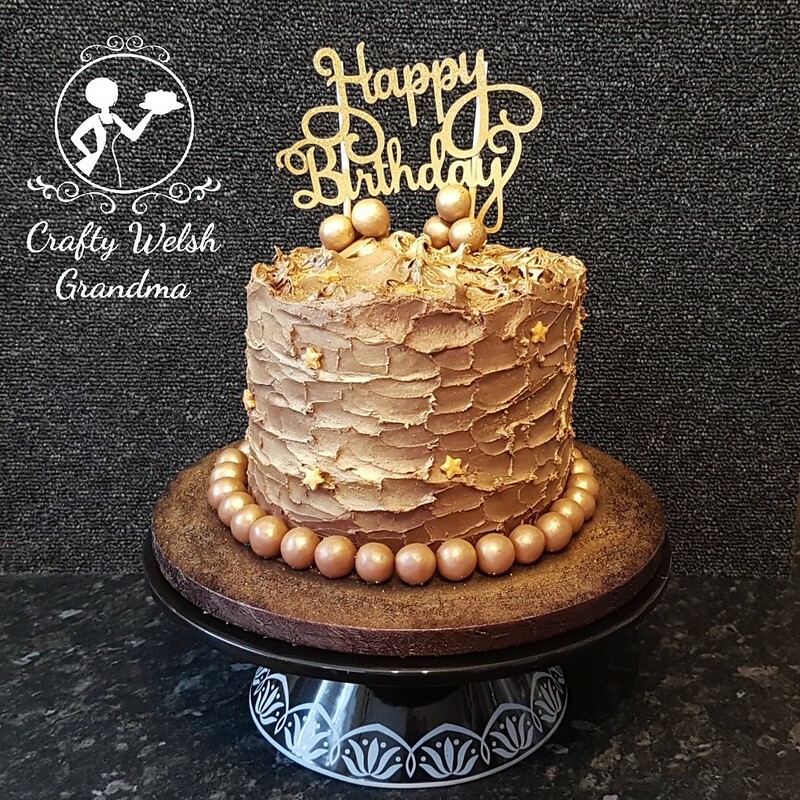 These types of cakes are becoming very popular for this here Crafty Welsh Grandma, this is the third one I've made in the last six or seven months. This one is for my Nephew, commissioned for him by his parents. He was 18 last weekend but is not having his celebration with his family until this weekend. 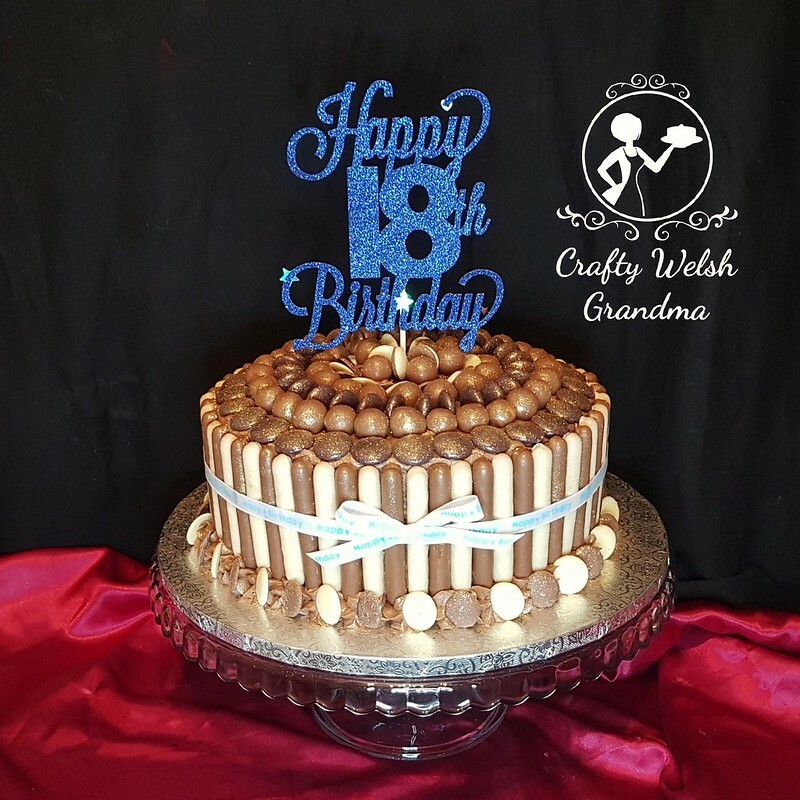 His Mam always insists on purchasing the resources required for the cakes that she asks me for, but this time, she has vastly over bought stuff! I think maybe I'll suggest that she leaves the purchasing to me from now on. She has a lot of waste - but the cake looks amazing! The cake stand in this image was not used on the day. Plus another one due next month! Chocolate buttercream to stick all this chocolatey-ness onto. Then trimmed off with a white grosgrain with a blue 'Happy Birthday' on it, which matches the wonderful blue glitter topper!